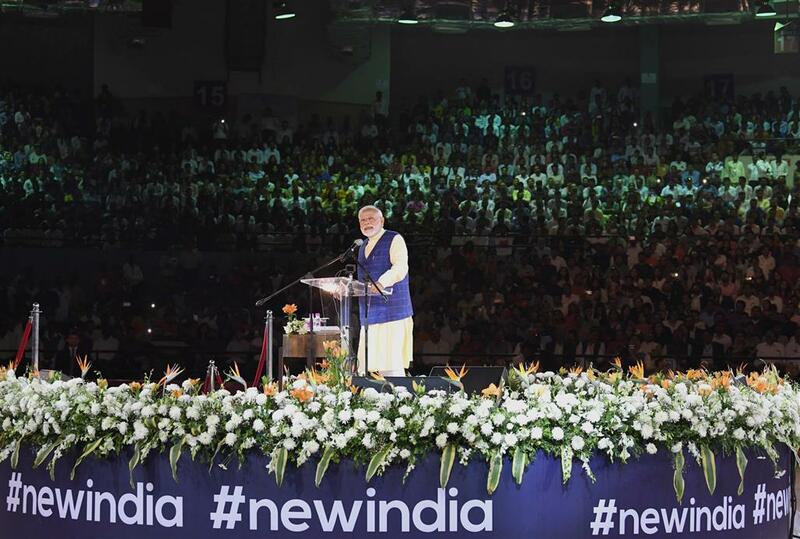 Prime Minister Shri Narendra Modi interacted with the young professionals in a town hall programme at the New India Youth Conclave in Surat. 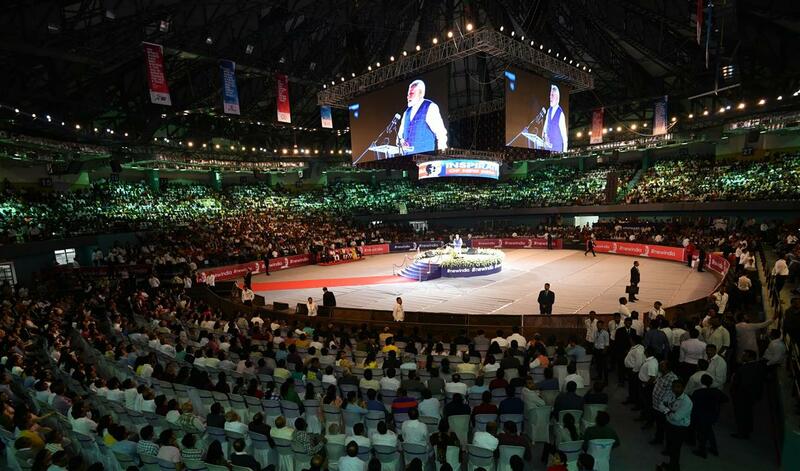 The PM received a rousing welcome at the New India Youth Conclave. On a lighter vein, PM said it is his fourth public engagement in a day, however He was not tired and rather asked people if they are tired to which he got a big no in reply. On a a day-long visit to Gujarat, PM today laid the foundation stone for extension of Terminal Building of Surat Airport and inaugurated various developmental projects at Surat. He also dedicated state of the art Rasilaben Sevantilal Venus Hospital, Surat to the nation. PM also dedicated National Salt Satyagraha Memorial in Dandi, to the nation. 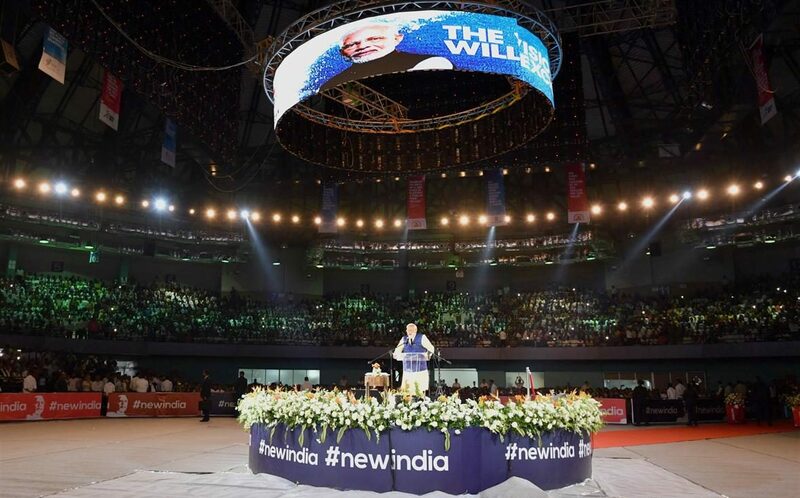 PM Modi received a rousing welcome at the New India Youth Conclave in Surat.